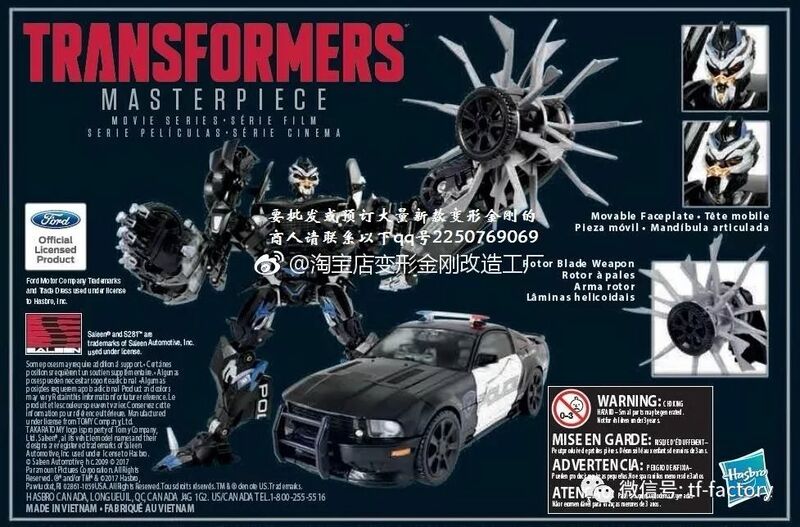 Via Weibo, we have a look at the packaging for the Movie Masterpiece Barricade figure. MPM-5, which is the third in the current crop of Movie Masterpieces, recreates Barricade’s look from the first live-action Transformers movie, and serves as a good companion piece to the MPM-3 Bumblebee released earlier this year. 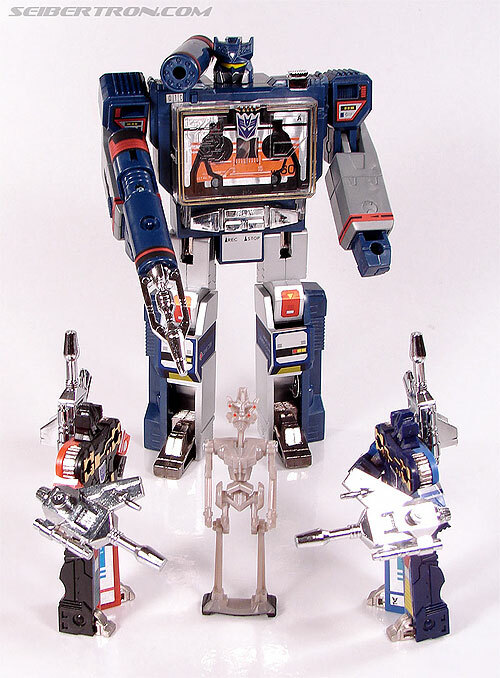 The packaging is in the same style as the previous two MPM figures, with both modes showcased on the front and some of the features called out on the reverse. We’ve mirrored the images for your convenience, check them out attached to this post. I still need to get a HA Frenzy at some point. Omg Barricade actually has an Oklahoma plate from the looks of it. That's just too good HasTak. I think that's just 2007 Frenzy from the original Deluxe, even the HA version looks better than that but maybe one or both are compatible with the MPM? Is that Frenzy standing infront of BB’s altmode? Hey, you're right, it is. Although Frenzy doesn't look to be as articulated as his Human Alliance version. Wonder if it's just an older Frenzy toy used as a stand-in? The feet appear to be attached to a singular piece on the bottom. Hmm, I just checked the Frenzy figure that came with (and fits inside the chest grill cavity) of the first version of the Deluxe Barricade figure from the TFTM toy line and I think it is just an older Frenzy. It looks exactly like it from the back. That is definatly not Barry’s weapon. Even though the car isn't perfect saleen, it's licenced, so i'll forget it and it looks nice. Its not G1 but screw it, why not? How come Hasbro didn't get the license to the Mustang for the TLK Barricade yet Gameloft got the license to the Shelby GT500 in Asphalt 7 Heat even though the Chevrolet Camaro GS is faster than it? I know it's a bit off topic, but it's kinda messed up. Only Ford and Hasbro know the answer to that question. I can't speak for the newer generation of pony cars, but at the time (2007-2013) before Chevy and Ford changed the body styles of their respective vehicles, I found the Mustang much more to my liking as far as a balance between speed, handling, and comfort as a daily driver. A former coworker of mine had a previous generation Camaro and while sitting in it I didn't like how low the roof was (neither he or I are very big guys either) or how vertically narrow the windows were either, limiting your field of vision. In driving tests at the time, the Mustang had the better handling between the two and the Challenger (my former boss had a Challenger, in fact, and while riding in her car it felt very boat-like in how it handled on the road and the interior was a bit cheap and plastic-y too for my tastes). All of these reasons made me appreciate my 2012 Mustang more. Of course, I don't know how the newer gen pony cars are like these days since I'm not in the States anymore and American cars tend to be a very rare sight in Japan. 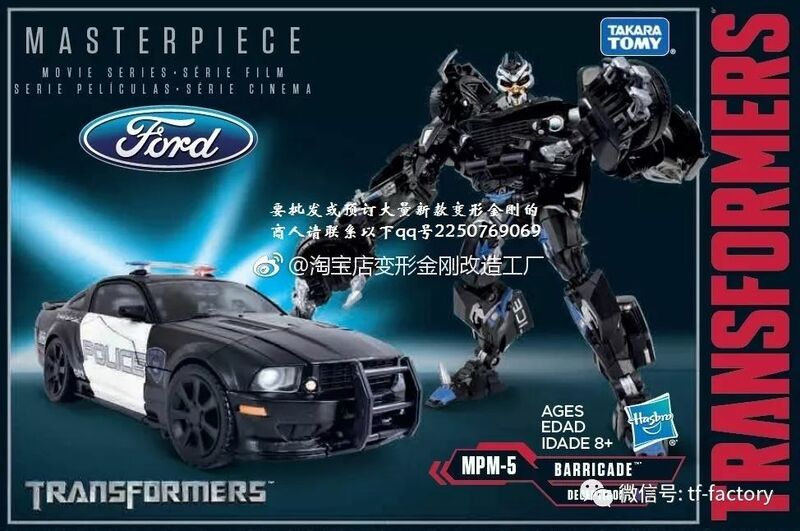 Back on topic, Barricade is cool, Mustangs are cool, and MPM-05 looks to be cool too. What\'s with the makeup on this fig? My guess is the TLK car has too many modifications for their taste. Or Ford wanted to distance themselves from the bad press surrounding recent stories of real world police brutality. That or Ford didn't want their brand being associated with the bad guy (a villain who keeps losing to a hero character whose alt mode also happens to be the Chevy Camaro, their direct competitor in the pony car market). Of course, this is all just speculation. I guess we'll never truly know unless Ford makes an official statement. I'm just glad Ford was OK with granting HasTak their license for MPM-05.